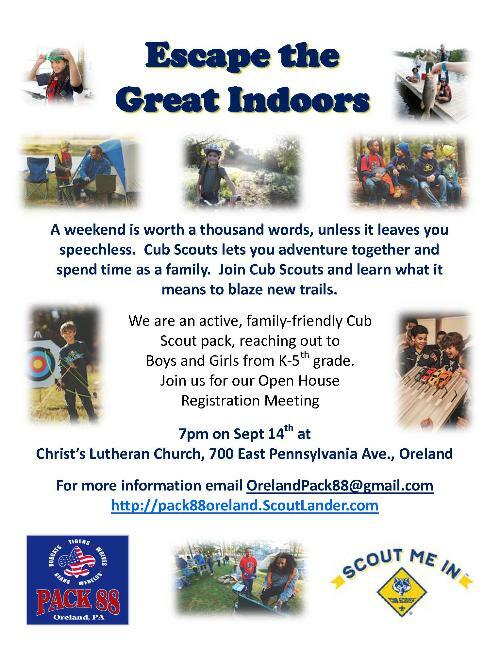 Cub Scout Pack 88 is chartered to Christ Lutheran Church in Oreland, Pennsylvania and offers the Cub Scouting program to boys from first through fifth grades in the greater Upper Dublin and Springfield townships. 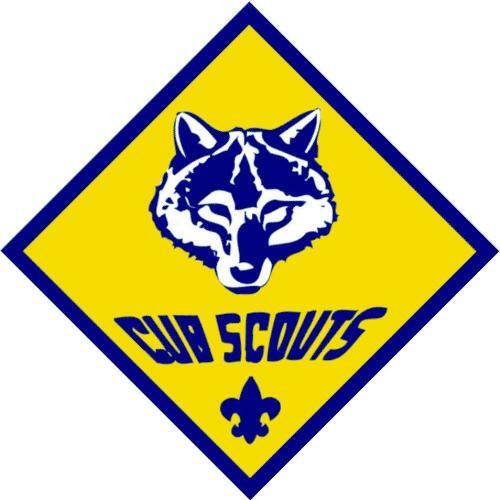 We are a very active pack where the Cub Scouts are given the opportunity to participate in activities and community service events that keep them interested and challenged. The boys in each age group meet together as a den at least twice a month under the leadership of a volunteer parent known as a den leader. The dens also assemble monthly for a pack meeting. At the pack meeting the Cubs and their families present skits and songs, receive the awards they have earned as they advance to the Arrow of Light award while having a great time. We hold annual special events such as Pinewood Derby, camping, Blue and Gold dinner and other fun events. If your son enjoys new adventures and making new friends, then Pack 88 is for you! Please click on the Contact our Pack link and send us an email request.